Mark Richards' transition from full-time farmer to full-time outdoor writer has been a gradual one. In 1973, with the direct encouragement of Alfred Wainwright, he wrote his first walking guide to the Cotswold Way. Since then he has indulged his pleasure in exploring rural Britain by creating a range of walking guides. 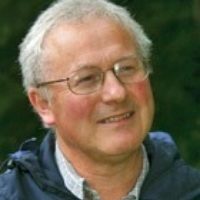 In 1980 he began his three-part guide to the Peak District for Cicerone Press, and in 1987, with Chris Wright, wrote a guide to walking around the former county of Westmorland. This book sowed the seeds of a dream, to be fulfilled some 14 years later, when he and his wife moved to Cumbria. Here he developed a passion for the finest of all walking landscapes, held within and around this marvellous county. 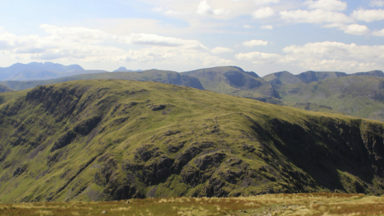 Mark has written a Cicerone guide to Great Mountain Days in the Lake District and, after many years of dedicated research, completed his Lakeland Fellranger series of eight guides covering the entire region in 2013. 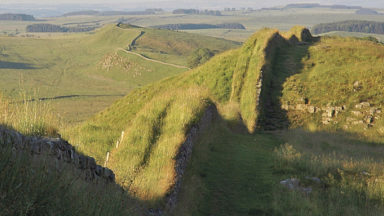 Now living in what was once the Barony of Gilsland, Mark is also close to Hadrian's Wall, enabling him to renew a fascination first kindled when he prepared a guide to walking the Wall in 1993. He has also published a guide to the Wall for Cicerone.